Jasmine is a cute, snippet of a girl, maybe 45 pounds. She’s a typical kid, does all the things that little girls like to do. However, she has something special, a willingness to keep trying, to never give up, to persevere. 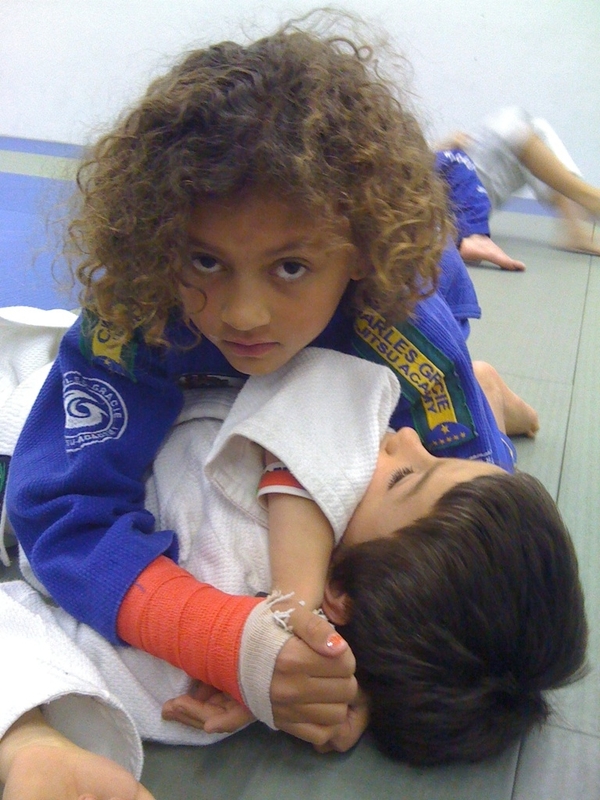 Jasmine Harris, she started training Gracie Jiu-Jitsu three years ago. Gracie Jiu-Jitsu is a performance based martial art that changed the martial arts world. It’s a style that can allow a smaller, weaker person to succeed through leverage and technique, but it’s not an easy road. Her dad Airon brought her in, wanting her to learn self defense and build confidence. Through that time, she trained regularly, got stronger, fitter, and more confident. She entered tournaments, lost, sometimes cried, but always came back for more. She continued to train, practice her technique and develop her skills. She always has a smile, and keeps going even when the training is hard. Not even a broken wrist suffered at the playground stopped her from moving forward. Her unwillingness to give up makes her a winner at everything she does and recently placed at the Charles Gracie Invitational last September. people strive and reach and get back up and go again, we are inspired. Jasmine is a person that you can watch and be inspired by. She faces every goal with steely determination, with one simple plan – Don’t Give Up! We are very PROUD of you and are happy that your coach has noticed such a special, good quality in you…perseverance. 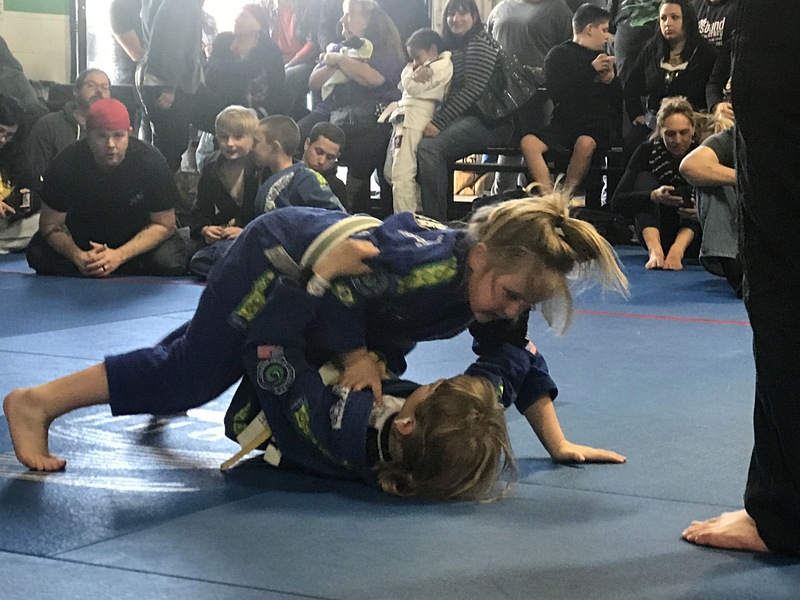 Your Mom & Dad are wise to get you into Jiu-Jitsu for such important reasons….self-defense and self-confidence and Now Perseverance. Love you and we know you won’t give up.